The negotiations of the Joint Commission of the Joint Comprehensive Plan of Action (JCPOA) on Iran's plan to purchase 950 metric tons of concentrated uranium ore, known as yellow cake, are not over yet, Iranian Deputy Foreign Minister Abbas Araqchi said Tuesday. VIENNA (Sputnik) — Earlier in the day, a regular Joint Commission meeting wrapped up in Vienna. "Consultations for purchase of 950 tons of yellow cake from Kazakhstan are not yet over and will continue," Araqchi said as quoted by the Tehran Times newspaper. On February 25, Iran’s nuclear energy chief Ali Akbar Salehi said Tehran wanted to buy the uranium concentrate from Kazakhstan in the next three years, with 650 metric tons arriving in Iran in two batches during two years and the remaining 300 tons arriving over the third year. The Iran nuclear deal was negotiated in July 2015 between Iran, the five permanent members of the United Nations Security Council and Germany. 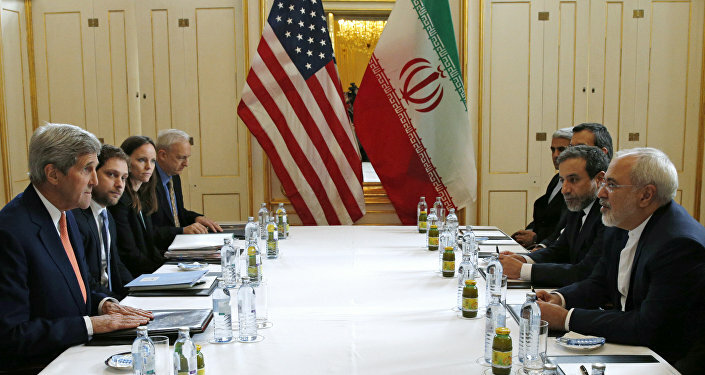 By ratifying the plan, Iran agreed to scale down its nuclear activities in exchange for sanctions relief. However, the United States imposed new sanctions against Tehran in February 2017 after Tehran carried out a medium-range ballistic missile test in late January.